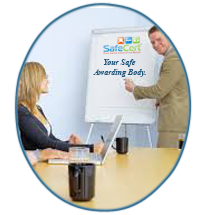 We at SafeCert Awards provide the accreditation service through our awarding body to provide our accredited trainers, assessors and accredited centres a range of First Aid Awards. 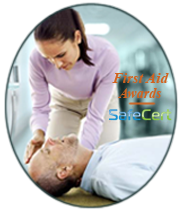 This SafeCert Award in First Aid at Work (RQF Level 3 / SCQF Level 6) qualification complies with the guidelines and criteria as defined by the Health & Safety Executive (HSE) in respect of the 1981 (First Aid) Regulations as well as the HSENI with Health and Safety (first aid) Regulations (Northern Ireland) 1982. Where the risk assessment of First Aid needs identifies the need for First Aider’s, then this course will give your learners that, subject to assessment. Recognition and Management of Illness and Injury in the Workplace. Those who only complete unit 1 can gain the SafeCert Award in Emergency First Aid at Work (RQF Level 3 / SCQF Level 6). The duration of the SafeCert Award in First Aid at Work (RQF Level 3 / SCQF Level 6) must be a minimum of 3 days with a minimum of 18 contact hours.